The London Square Cattery is a member of the Cat Fancier's Association (CFA). 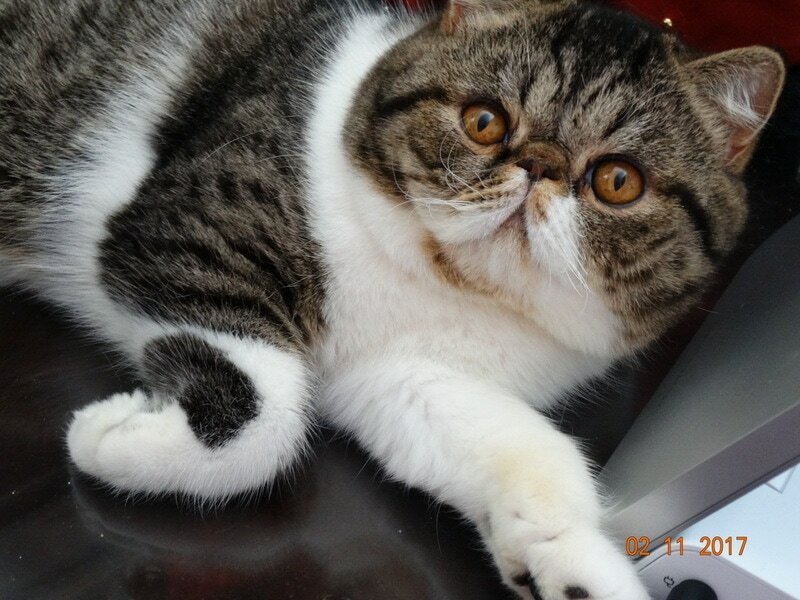 We are breeding Registered CFA Exotic Shorthairs in a variety of colors and patterns. These variations can be interesting and fun. However, what I really value is open sweet expressions, with large, wide-set eyes, heavy boning and the cobby (Square) body that CFA judges look for in the Exotic Shorthair and Persian breeds. London Square Cats have personality and are sweet purr-babies! London Square Cats include Purfurvid, Psymis, Jazzycats, Parti Wai Ex, Exotic Den, Lion House, Toxicate, Scrimshaw, and Morado Cattery Lines. We vaccinate for Feline Rhinotracheitis, Calici and Panleukopenia according to schedule. All of our kittens will make wonderful and loving pets. All kittens are handled and played with daily. God made man to complete His creation. God then made woman to perfect His creation. But He made kittens to make the whole thing worthwhile. Like the Persian, Exotic Shorthairs are quiet, calm, very loving, and have huge eyes. They are innately curious, and like to play. Purchasing cat toys provides exercise indoor cats need. They will jump, chase, frolic and entertain themselves for hours all by themselves, and better yet, with you providing the companionship you will both relish.